This book documents the strong ties that bind generations together. When the author poses the question to her Irish Granny, "If you were so poor why did you have ten children?" 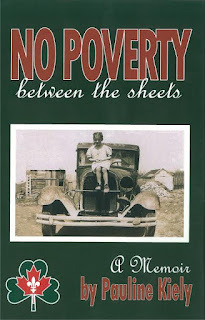 Says she, "To be certain, there was no poverty between the sheets!" This sassy saga of a large family that is half Irish and half French Canadian captures hilarious voices and comical antics of a vibrant family that is cloaked in love. A horse theme and song lyrics are neatly knitted throughout the layers of generations. 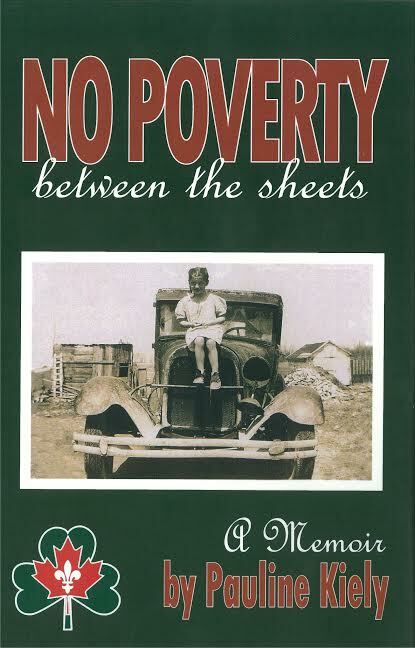 No Poverty Between the Sheets is a memoir of life in Ontario, a half French Canadian and half Irish family spanning 4 generations and traveling between Ireland and Canada. Living in Ontario myself it's always fun and interesting to read these types of books. Places I can visualize and others I can say 'hey I've been there'. There were spelling and grammatical issues that I found distracting, but all in all an entertaining read. 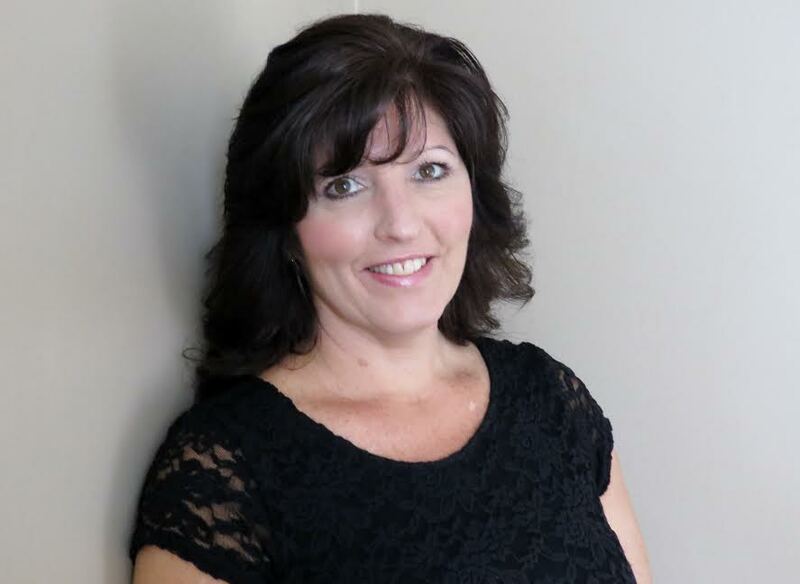 Pauline Kiely has been an avid student of Creative Writing her entire life. This author has consistently taken various courses and workshops offered at University of Toronto and Trent Universities. A year long memoir course with Susan Reynolds brought out this witty honest voice that shoots straight from the hip aiming for the heart. One reason I want to win, is because I love books. The other reason is the review of the book is so good. I love the question of why have 10 kids, and I get the answer. That is so cute. I'd love to read this book.